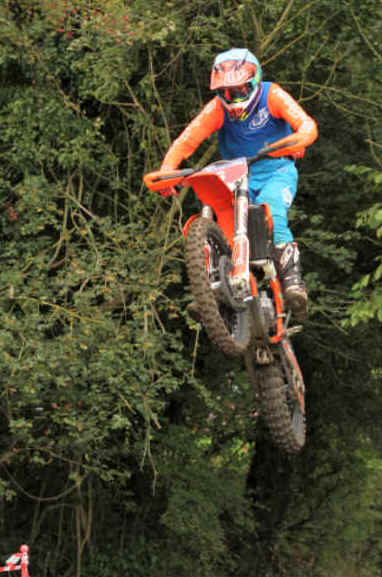 Round 3 of the Dave Barkshire Motorcycles Two Man Enduro Championship took place last Sunday at Kenton Suffolk and organised by the Stowmarket Motor Cycle Club. 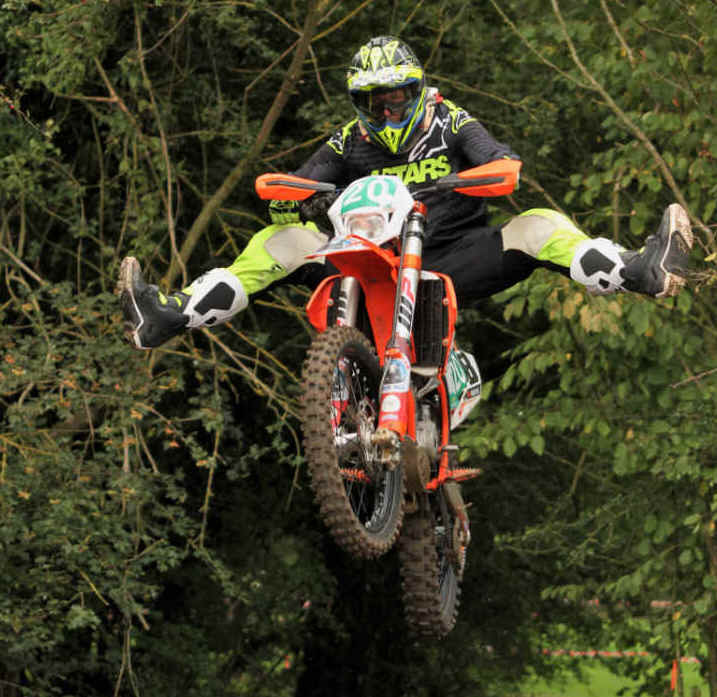 The going was ideal after some rain earlier in the week and the organisers had laid out a tough and challenging course which included some extreme sections which could be by passed which was of no advantage to the competitors. In the Championship Class Adam Ranson and Ross Taylor both members of the Ranson Racing Team had a right old battle throughout their sessions overtaking each other at every opportunity which left Team Principal Paul Ranson tearing his hair out. It was the master of these Two Man events Tom Braddock who outshone everyone riding with Tim Rose, his third partner of the series, who took the win but only by .2 of a lap from Harvey Mutton and Toby Morley with Adam Ranson / Mark Chapman 3rd, Ross Taylor/Michael Ridge 4th and Lee Saunders/Kane Fisher 5th. Unofficially the overall positions are with one round to go Mutton/Morley have 45 points and need 1 point to win the Title while Saunders/Fisher are 2nd with 25 points and Taylor/Ridge and Chapman / Ranson tying in 3rd place both on 24 points. James Barker and Nathan Greenaway teamed up for the first time this year and just managed to win the Expert Class by .20 of lap from father and son Phil & Jake Roper with Julian Harvey/Damian Long 3rd, Christian Drane / Chris Ballard 4th and brothers Dan and Paul Hunt 5th. The overall positions are very interesting with the Hunt brothers on 39 points and the Ropers on 34 points, could 15 year old Jake be the Class Champion which his father has been a few years ago. Despite Shaun Palfrey having to use his partner Toby Rogers bike in the latter stages of the Clubman Class they out rode the opposition completing 37 laps with Lawrence Rodgers/Harry Hedges Staines 2nd on 34.80 laps and they pushed Andrew and David Woods into 3rd place also on 34.80 laps but the former team had a better lap time over the day. 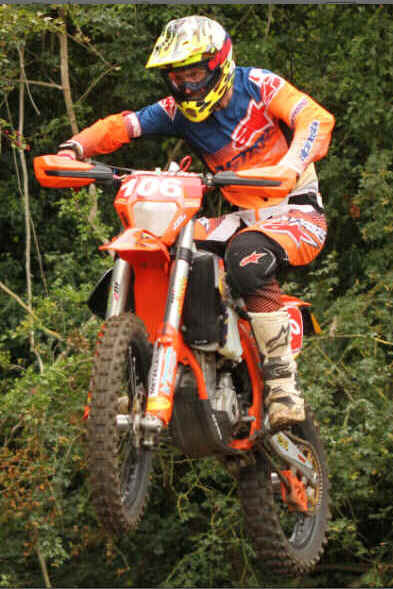 Jeff Turner/Tom Morris was 4th with Martin Gunton with his 16 year old son Archie 5th. Palfrey / Rogers only need two points at the last round to win the Class Title.